Search Edgemont Public Schools directory Calgary: Research Edgemont Public & Catholic schools Calgary, new Edgemont public & catholic school openings & Edgemont Schools closed on Wednesday, April 24th 12:21am. Moving your family is a challenging time, especially when relocating requires your children to change Calgary schools. Search Edgemont elementary schools, high schools, public schools, churches, community centers. Search Edgemont real estate directory of information with real estate reviews, REALTORS®, Edgemont luxury homes for sale, condos townhomes and top local Agents. Find today's real estate statistics, public schools or explore community information and daily news. The Edgemont real estate market is changing you need experienced real estate agents who know the current market trends. Compare golf courses, real estate maps , wonderful restaurants, shops, Calgary Schools Rankings and of course the people! 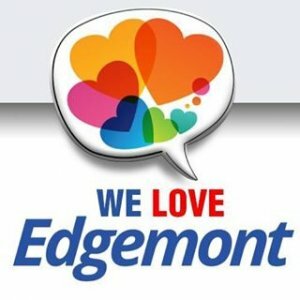 Home buyers find Edgemont appealing because of its terrific location and great value when it comes to area real estate prices. Search Edgemont real estate listings attached, detached homes for sale community northwest Calgary, Alberta. Edgemont homes is located northwest extension of Nose Hill drive providing views to the Rocky Mountains. Research Edgemont real estate statistics, real estate agents, REALTORS® & homes for sale in Calgary on April 24, 2019. Currently there are 40 active listings in Edgemont average asking price of $734,584.68 highest price property $2,990,000.00. Currently 37 properties include Attached Homes, Detached Homes, For Sale by Owner, Luxury Homes plus 3 Condos For Sale, Townhomes, Rowhouses, Lake Homes, Bank Foreclosures. Locate Edgemont Schools See a list of Edgemont schools by area or look at the trustee profile details for a list of schools for each ward. For a list of our administrative offices and central services please use our CBE Directory. Edgemont is located in an area with surrounding Edgemont after schools programs, great children and youth schools and parks. Research Edgemont Transit schedules and maps combined with excellent education opportunities that are available. Local Edgemont REALTORS® has the community experience you can trust that will ensure transaction is completed competently and professionally. Let your REALTOR® provide you the advice you need with an intimate knowledge of the local housing market. 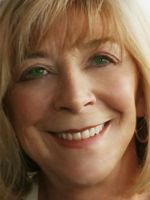 Locate Edgemont real estate reviews, REALTORS® reviews with Edgemont statistics, community news. Locate a Edgemont School This tool Edgemont Schools shows our schools and the programs they offer for the current school year. You can find information about new schools opening after this year in our new schools section. Every child in Calgary has a designated school based on their home address and the program they choose. You can apply to attend any school, even if it is not your designated school. Each principal determines if their school has capacity to accept out-of-boundary students. To confirm school attendance areas or program offerings or for more information about registration, please contact the school directly. Find Edgemont Calgary Public Schools, Catholic Schools in your home search whether you're looking for Edgemont schools we have the information you need to find great schools near you. Once you've found the right school for your family, search homes for sale to see the latest real estate listings.